With more than half of the MVPs in the Super Bowl being quarterbacks, it’s not surprising that the performance of each team’s QB plays an important role in a team’s chances to win a Super Bowl title. Over the past several years football has used a QB Rating to help us quantify how well a QB has played in a game. The QBR can range from 0 to a “perfect” score of 158.3. While we have not had a “perfect” QBR in the 49-year history of the Super Bowl, there have been a couple of performances that came close. 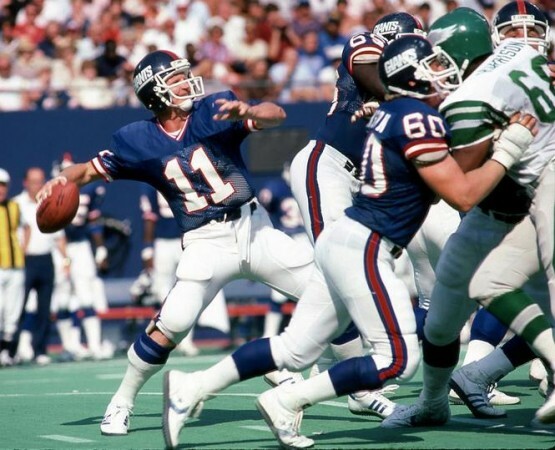 New York Giants QB Phil Simms in 1987 had a QBR of 150.9 in the Giants 39-20 win over the Denver Broncos. That is the highest QBR of any QB in Super Bowl history. The Top Five QBRs in the Super Bowl after Simms: Joe Montana, San Francisco, 1990 (147.6), Jim Plunkett, Oakland, 1981 (145.0), Troy Aikman, Dallas, 1993 (140.7), Steve Young, San Francisco, 1995 (134.8). The quarterback with the lowest QBR to win a Super Bowl was Pittsburgh’s Ben Roethlisberger in 2006. He had a 22.6 QBR in the Steelers’ 21-10 Super Bowl victory over the Seahawks. Next lowest is Denver’s John Elway in 1998 versus Green Bay; his QBR in that win was 51.9. One final stat: There have been 99 quarterbacks that have attempted 10 or more passes in a Super Bowl game. Here’s the breakdown of each QB’s QBR and the record of the teams in those QBRs.